There is a close working relationship between the Endowment Trust and the Friends of the Turnbull Library. The Endowment Trust manages funds gifted to the Friends, and reports annually to the Friends on its work. The President of the Friends attends Endowment Trust Board meetings. The 2017 grant has been awarded to Ryan Bodman of Auckland, whose project is a history of rugby league in New Zealand. Other projects receiving grants since the Research Award was established in 2003 include a biography of Douglas Lilburn, a photo-essay on Maggie Papakura, a biography of Maurice Shadbolt, a history of murder in New Zealand, and a study of the history and uses of the totara tree. The New Zealand Cartoon Archive is one of the major collections within the Alexander Turnbull Library. It was launched on 1 April 1992 as a partnership between the New Zealand Cartoon Archive Trust and the Alexander Turnbull Library. 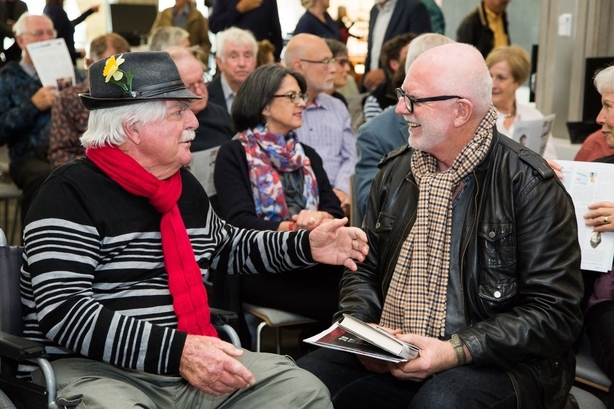 After 2005, when the Archive was fully absorbed into the Alexander Turnbull Library, the Trust’s accumulated funds, largely from books and exhibitions, were lodged with the ATL Endowment Trust. The Guardians of the New Zealand Cartoon Archive administer these funds to promote the Archive and its work and to publish books and monographs and curate exhibitions that explore aspects of New Zealand’s rich cartooning heritage. The Archive holds more than 50,000 cartoons by 60 cartoonists and continues to grow, with new digital images added every week and analogue collecting ongoing. Digital collecting is one of the Archive’s strengths: most New Zealand editorial cartoonists donate their work at the same time as they send it to their editors. The Archive also holds significant analogue collections by many of New Zealand’s leading cartoonists, including Gordon Minhinnick, Nevile Lodge, Eric Heath and Chris Slane. The Te Puna Foundation has been established to support the work of the National Library. One of its immediate goals is to build a travel fund to bring school children to Wellington to visit the He Tohu exhibition and to learn about the importance of the Declaration of Independence, the Treaty of Waitangi, and the Women’s Suffrage Petition.